Robust lamb prices have been encouraging Victorian producers to come forward with lambs earlier than usual, but a dip in throughput this week has seen the Eastern States Trade Lamb Indicator (ESTLI) rocket to a breath away from the 800¢ barrier. 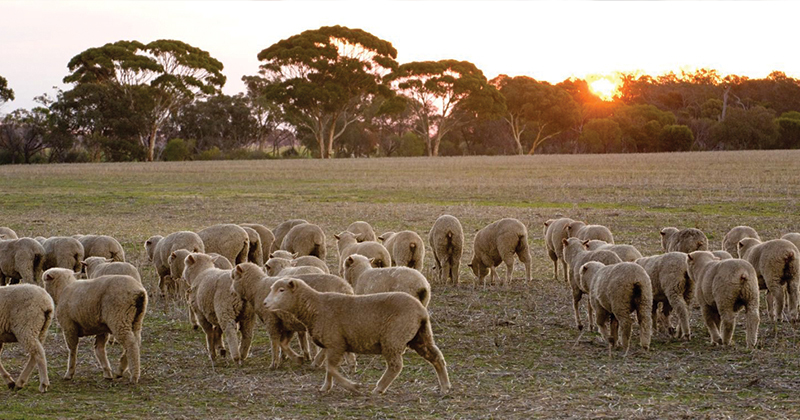 Trade lamb prices across the East coast during July have been averaging 21% above this time last season and the strong performance has been inspiring producers to come forward with stock, particularly in Victoria. East coast lamb yarding levels have been trending 23% above the five-year pattern for the first three weeks of July as highlighted on Figure 1. East coast lamb throughput boosted by Victorian numbers which had been trekking nearly double the normal levels during July attracted by prices above 700¢. However, this week East coast lamb yardings eased 9%, moving back into a more normal seasonal range and the result of the relatively tighter numbers at the sale yard was to see a 5% price spike for the ESTLI to close yesterday at 798¢/kg cwt. In a classic example of text book Economics, East coast mutton did the exact opposite to lamb, as the increased numbers of sheep recorded at the sale yard this week pressured the mutton indicator down 7% to close at 480¢/kg cwt. East coast sheep yarding continuing to trend well above the seasonal average and above the normal range that could be expected for this time of the year – Figure 2. Mutton yardings jumping 15% on the week to sit 48% higher than the seasonal average. The jump in local lamb prices flowing through to higher offshore prices this week with the ESTLI in US$ terms climbing to 590 US¢/kg – Figure 3. It’s interesting to note though that during the 2010/11 season lamb prices in US terms have been higher than where they are now, despite the record local prices. Indeed, when the A$ was above parity against the US$ in 2011 saw the ESTLI in US terms peak at 673 US¢. Mathematically speaking if the ESTLI was to reach toward the 670 US¢ level with an A$ back at the 75US¢ level that would translate to an ESTLI in local terms of around 890¢. It’s unlikely that we will see the ESTLI get to 890¢ this season with the Spring flush approaching. Even if there are less Spring lambs around this season, which is quite likely given the dry conditions we should still start to see the normal seasonal Spring price decline as we head out of Winter. Some reasonable rain falls for WA and Victorian sheep rearing country is expected for next week but probably won’t be enough to support another strong rally in prices with them already being up in the stratosphere as it is. We are in nosebleed territory at the moment with these high-altitude lamb prices so it wouldn’t take much to see a little bit of a dip back toward the mid 700¢ region in the coming weeks.